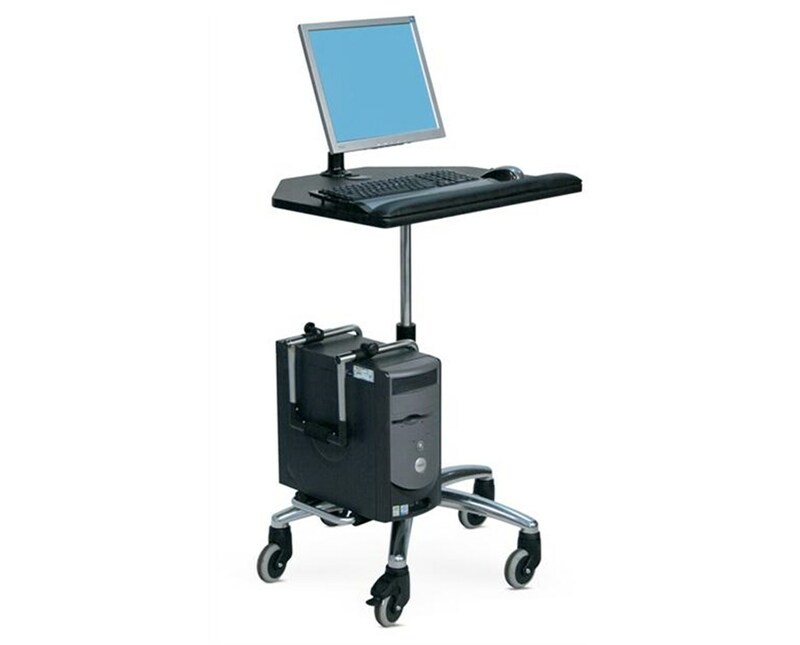 ESI's Workstation on Wheels (WOW) provides generous workspace, space saving accessibility and secure placement of the monitor and CPU. 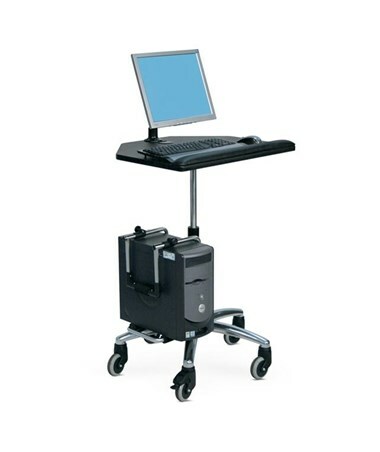 Whether this is used in an office, educational or health care setting, this ergonomic, customizable Workstation On Wheels is the perfect solution for mobile computing. 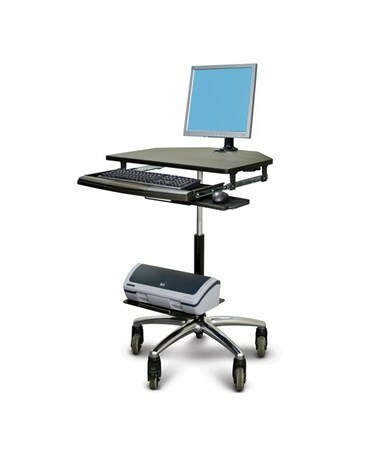 The WOW is a desktop or laptop self-contained computer cart that provides effortless height adjustment and mobility. The 26" x 22.5" platform can be height adjusted from 28" to 41" via pneumatic lift and has a weight capacity of 20 lbs. The workstation includes a cable management system, a CPU holder, a fixed single flat screen monitor arm mount, and a detachable palm rest. The fixed monitor mount uses a grommet mount and provides 90-degree side-to-side rotation and tilts vertically. It can be adjusted from landscape to portrait and has a load capacity of 24 lbs. The adjustable CPU holder is made of a steel material to support even the largest CPUs, and has soft foam to protect the CPU when the cart is moved. It has an adjustable width of 2" - 9" and adjustable height of 6" - 23", with no tools required for either. Work Surface Dimensions 26" x 22.5"
Work Surface Height Adjustment Range 28" to 41"